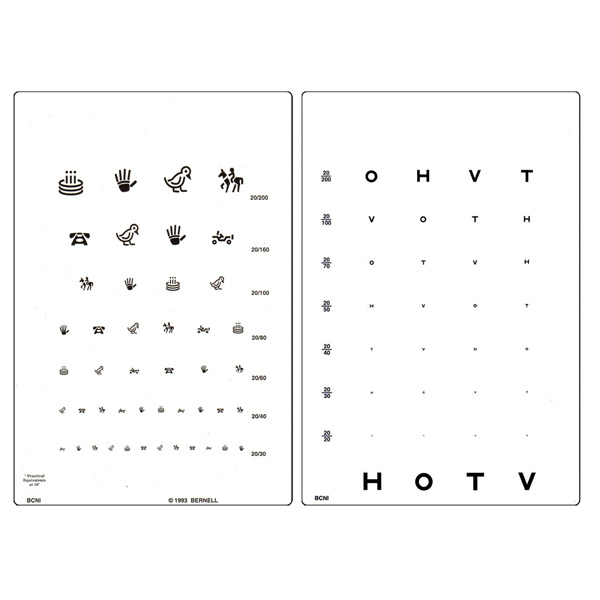 Near testing HOTV double-sided acuity chart for illiterate patients. 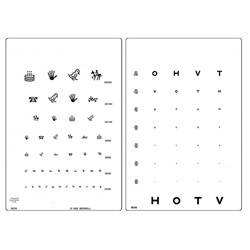 Has HOTV letters on one side and Allen figures on the other. 20/20 to 20/200 acuity measurements. Card should be held at 16". Measures 5.5" x 8". Manufactured by Bernell. Comes as singles.